As we all know, what makes dirty rice 'dirty' is the puréed chicken liver. And while I do not mind chicken liver part a bit, a lot people, including those in my own household, do not care much for chicken liver. 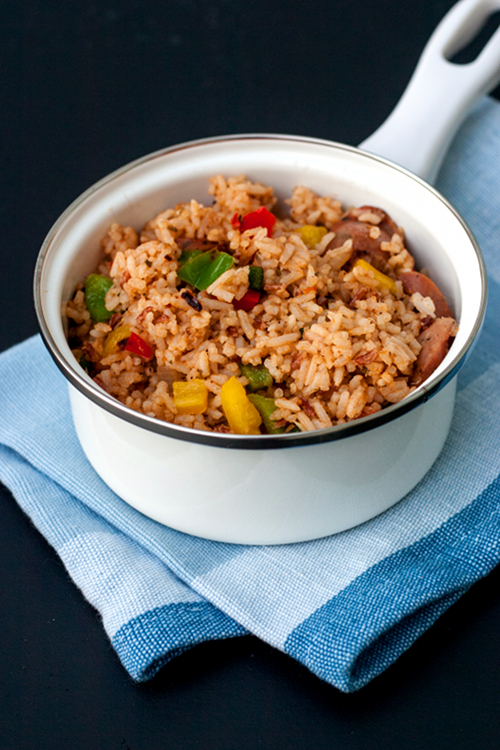 By substituting chicken liver with dark roux, we can all enjoy our dirty rice (that's still dirty) without anybody complaining. Bright colored bell peppers also add some festivity to the dish. In a large heavy skillet, melt the butter over medium low heat. Add flour, a little bit at a time, and stir using wooden spatula or whisk, until well blended. Continue cooking and stirring, until the roux turn dark copper in color. Transfer the roux into a bowl, scraping it from the skillet using rubber spatula. Add oil into the same skillet, place on the stove over medium high heat. Add onion and garlic, cook until soft and translucent. Add Jalapeño, diced bell peppers, sliced Andouille and 1/4 cup of chicken broth, cook until the broth evaporates and the vegetables are softer and charred. Add the rice and the remaining of chicken broth into the skillet along with roux, Cajun seasoning, Oregano and chopped green onions. Season with salt and pepper. Mix all of the ingredients together until well blended. 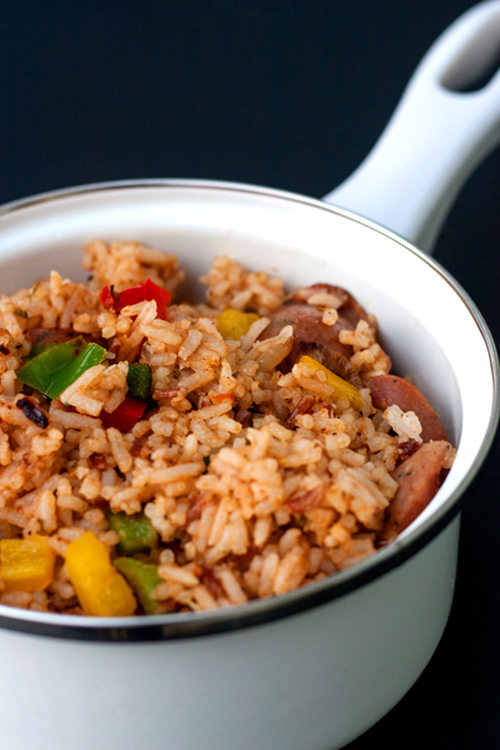 Continue cooking until the liquid is all absorbed and the rice is cooked through. Remove from the stove and transfer to individual plates. Serve hot. Mardi Gras will soon be here! My mouth starts watering when I think of it. This will be perfect to get me started! 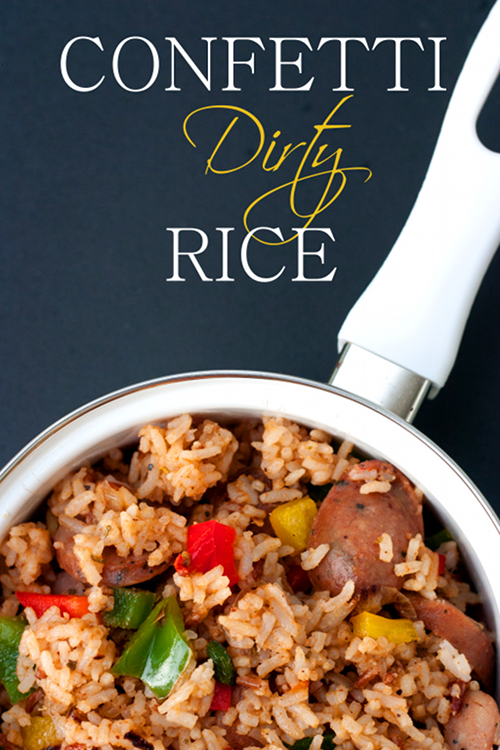 I am embarassed to admit that I never knew where the expression Dirty Rice came from. Livers or not, yours look delicious!